We have organized several activities and planning programs in order to help decrease the poverty level amongst rural communities. We have discovered that a povertystricken lifestyle is the direct result of a lack of education and lack of opportunity. There are serious problems that stem from poverty, which the people in the rural areas of Thailand experience on a daily basis. It is difficult to escape such problems due to social immobility. to make financial resources more accessible, and to help create consistent income. We also serve as a strong foundation and ensure that the successes of people in the rural development program are sustainable in the long term. Cooperation with the private sector in our network revolves around the five vital areas of development: community empowerment, income generation, environmental promotion, health, and education. 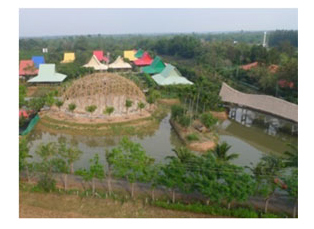 environment in order to maximize their potential, so that they can become intellectual assets to the community. This exposure to new technology and a revolutionary educational model will not only allow these students to have essential skills in the rapidly modernizing world, but the education also ensures that they will become active citizens with strong moral and ethical values. 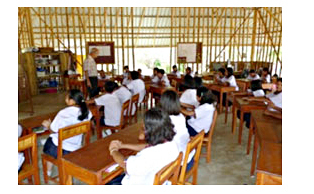 An external assessment by The Office of National Education Standards and Quality Assessment (Public Organization) has found that among 32,000 elementary schools around Thailand in the year 2007, there is only one school that has slightly higher scores than the Lamplaimat Pattana Primary School. The type of education that puts emphasis on the student has proven to be successful and effective both inside and outside the country. 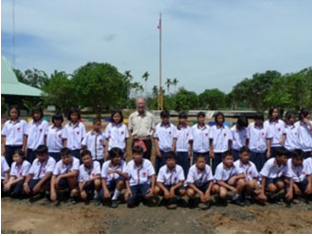 Following the success of the Lamplaimat Pattana Primary School, we have begun operating the Mechai Pattana School in 2009 to provide further education and ensure that all the students have at least a high school education. However, a large amount of funding is still required to operate this private school.